HomeHave you Been Deceived and Think Putin to be the Savior of Man ? Have you Been Deceived and Think Putin to be the Savior of Man ? So easily were you deceived, that When the Hasidim of Chabad who control Sanhedrin “Reveal” their Moshiach, you will rush headlong to embrace the Son of Perdition. 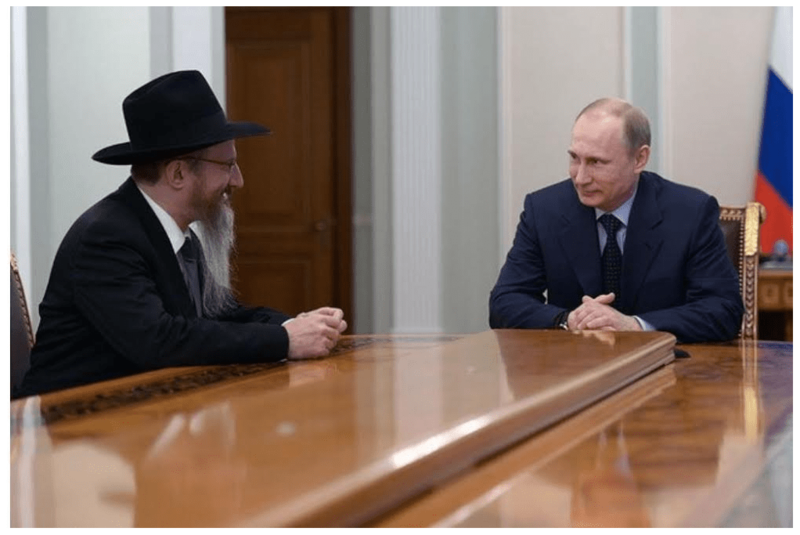 Although Russia has historically not been considered the most hospitable place for Jews who wish to observe their religion – and the Russian Orthodox church is clearly the most dominant religious force in the country – current Russian PresidentVladimir Putin has become surprisingly close to the leaders of the Chabad-Lubavitch sect who seek to strengthen Orthodox Judaism in Russia.